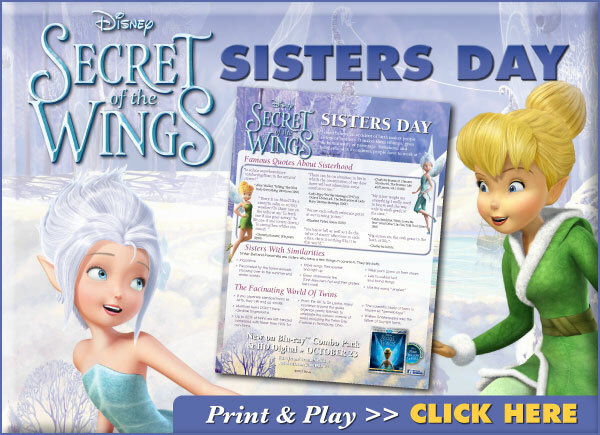 In honor of Sisters Day on August 5, Walt Disney Pictures is proud to announce that Hollywood Records recording artists McClain Sisters, real-life sisters themselves, will provide the featured song, “The Great Divide,” for SECRET OF THE WINGS the all-new, Disney Fairies movie in which Tinker Bell finds out that she, herself, has a sister. Celebrating the special bond between sisters, “The Great Divide” song is featured in the movie and in a contemporary version and music video that makes its world premiere on Disney Channel on September 9. The song makes its exclusive online debut on Disney.com on September 10, and will also be released as a digital single by Walt Disney Records on September 11, 2012. 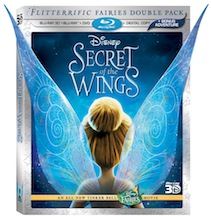 A magical fairy adventure for the whole family, SECRET OF THE WINGS invites audiences to join Tinker Bell and friends on their new adventure into the never-before-seen mysterious Winter Woods, where Tinker Bell finds out that she has a sister and discovers other incredible secrets that will change her life forever. The film is the first Disney Fairies movie in more than two years, and marks the first time ever Tinker Bell will fly on Disney Blu-ray 3D. A DisneyToon Studios production, the movie is directed by Peggy Holmes, co-directed by Bobs Gannaway, and produced by Michael Wigert. John Lasseter serves as Executive Producer.